For the 1st time in the world, China’s Xinhua news agency unveiled its new anchor, the robot ‘Xin Xiaomeng’, that mimicked human facial expressions & mannerisms while presenting a news story about delegates attending an annual parliament meeting arriving in Beijing. The debut female robot donned a pink blouse, short haircut & earrings in a 1-min video presentation. 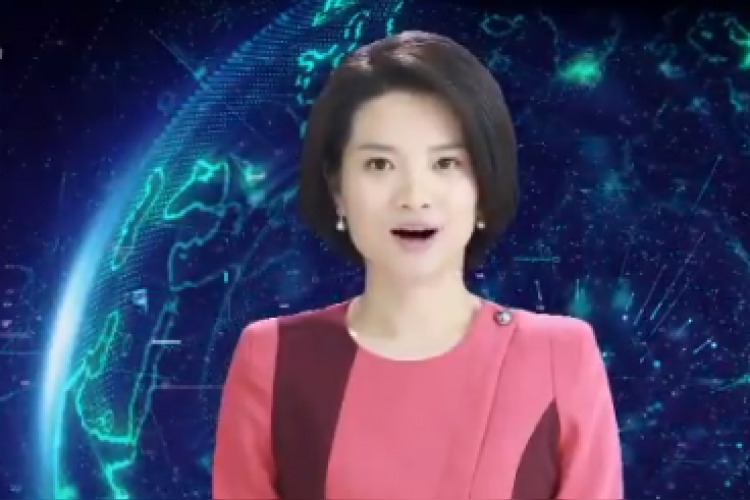 China is advancing in AI technology with 2 AI news anchors.